To assure perfect alignment of cleaning rod to the rifle bore. Protecting against chamber and bore damage. Helps reduce solvent leakage into action. Prevents solvent contamination of magazine and trigger mechanism. Protects your rifle's finish from chemicals. A must have for rifle cleaning. 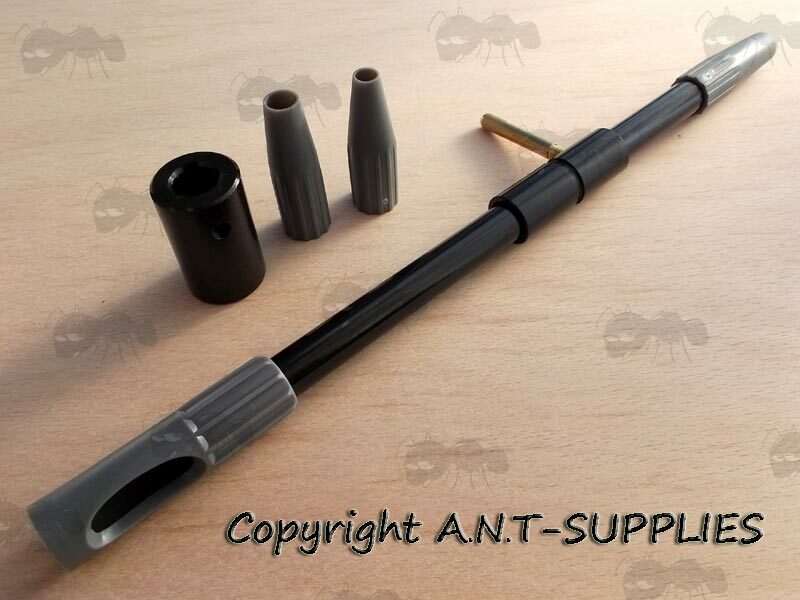 Fits most centerfire bolt action and MSR/AR style rifles. With port for easy solvent application. Thumbscrew collar lock to secure into bolt position. Small ~ .17cal to .243cal (up to 6mm). Medium ~ .25cal to .30cal (6.5mm to 7.62mm). Large ~ .30cal and over (7.62mm). Plus a collar for AR-15 style rifles. Total kit weight ~ 85 grams. Fit suitable adapter to the bore guide. Adjust the guides collar, so that the thumbscrew fits into the rifle bolts closed position. 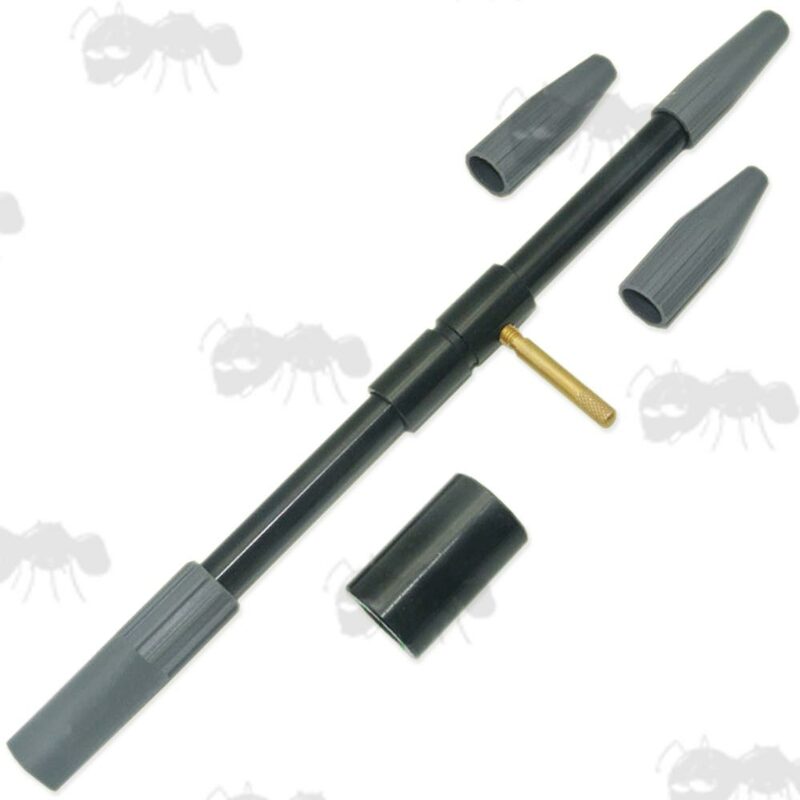 Also available ~ rifle muzzle guides and rifle chamber cleaning brushes and swabs.